The fresh smell of baked cupcakes is amazing. We have made it possible to have this wondeful smell and taste with you all the time. Try all of our cupcake products and you will be in cupcake heaven! 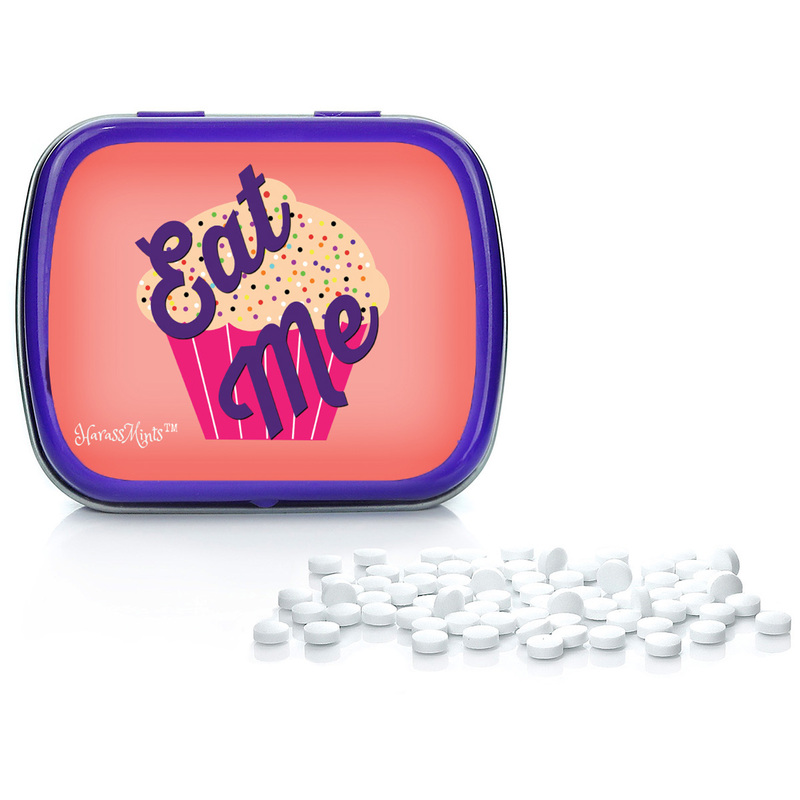 Eat Me Mints pack a whole lot of sass into one small tin of adorable naughtiness. Two words. Five letters. One big message. You’ve had enough, and only the sweet chocolate mints inside are going to keep you from unleashing some fiery fury your grandma wouldn’t think was very ladylike. 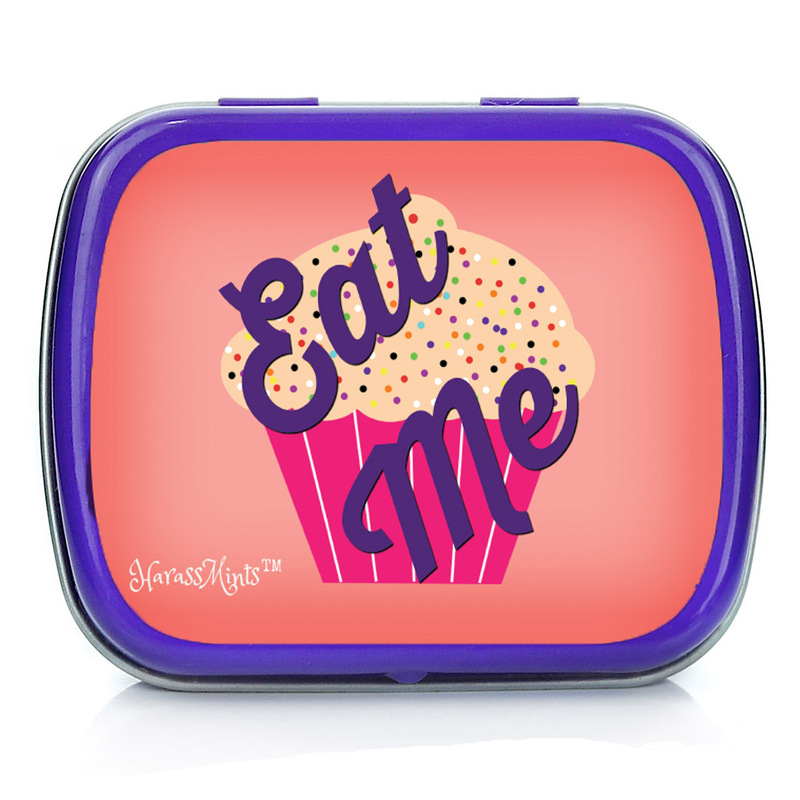 You really, really can’t resist a good cupcake. 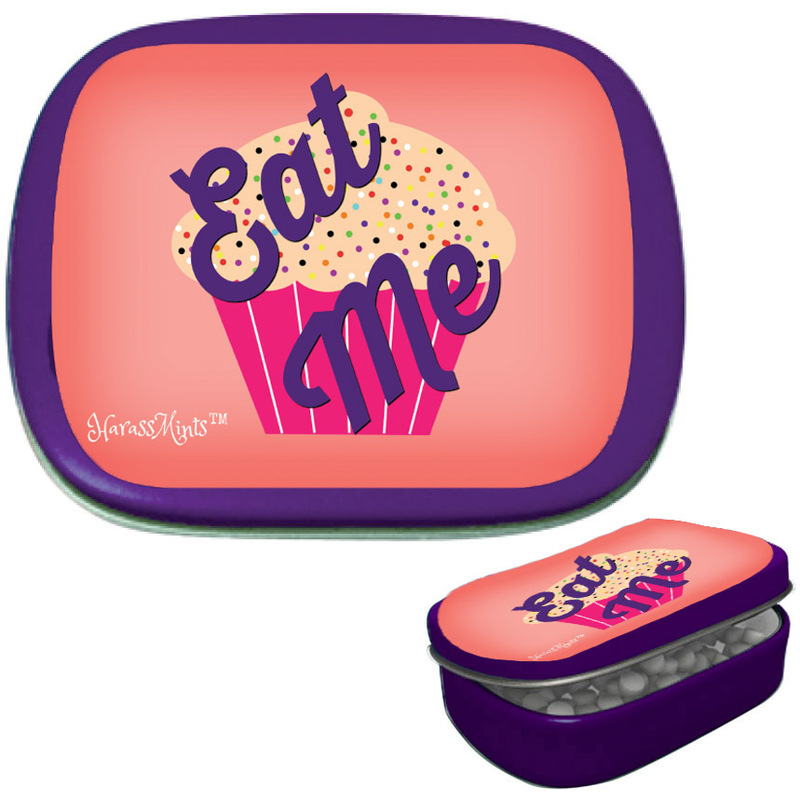 Either way, Eat Me Cupcake Mints are a fun tin of breath fresheners every spicy gal should have in her purse, pocket, or desk drawer. Even the sweetest lady you know can have her fill of guff and launch a little cheeky talk from time to time. If you know a saucy woman who could use a chocolate mint flavored time-out after losing her temper, Eat Me Mints will have her rolling with laughter. This weird cupcake gift for friends is an entertaining stocking stuffer, white elephant idea, just because gift, or addition to birthday gift bags, care packages, or Easter baskets for adults and wine lovers. Who doesn’t love a naughty cupcake gift?